Social media has been awash with posts following the public unveiling of Japan’s new era name, Reiwa, at the beginning of April. The announcement was almost the complete opposite of an April Fools’ Day joke and yet every detail has been picked apart online, from the way the name was officially unveiled to the actual name itself. On April 9, netizens jumped on a related topic after Finance Minister Taro Aso unveiled new designs for the ¥10,000, ¥5,000 and ¥1,000 bank notes that will be put in circulation from 2024. The bills feature industrialist Eiichi Shibusawa, educator Umeko Tsuda and physician Shibasaburo Kitasato, respectively. Considering the new bank notes will eventually be a part of daily life, it’s not surprising people had plenty to say about the announcement. Many criticized the font that appears on the new bills, suggesting it looked a little janky. A number of people complained that the design on the new notes is inconsistent with older versions, some even presenting the differences side by side. Others pointed out that the font on the new notes is similar to a number of currencies around the world, which reduces their novelty factor somewhat. Whatever the reason, debate on the font used on the new bills trended on Twitter rather quickly. Putting design aside for a second, how did social media react to the historical figures that were selected for the new notes? BuzzFeed Japan was quick to publish snack-sized introductions of the trio before later focusing its attention on Kitasato’s name. Huffington Post Japan produced similar explainers, as did a number of other sites. Many, however, had fun imagining who (or what) could have appeared on the new bills instead. Twitter user @mochiunagi hit retweet pay dirt by saying that they would have preferred to see “Sailor Moon” characters on the notes. And then there’s the inevitable discussion surrounding other candidates who might have been better suited for the role. Such conversations typically aren’t so interesting but this particular case produced one exchange that was certainly amusing. 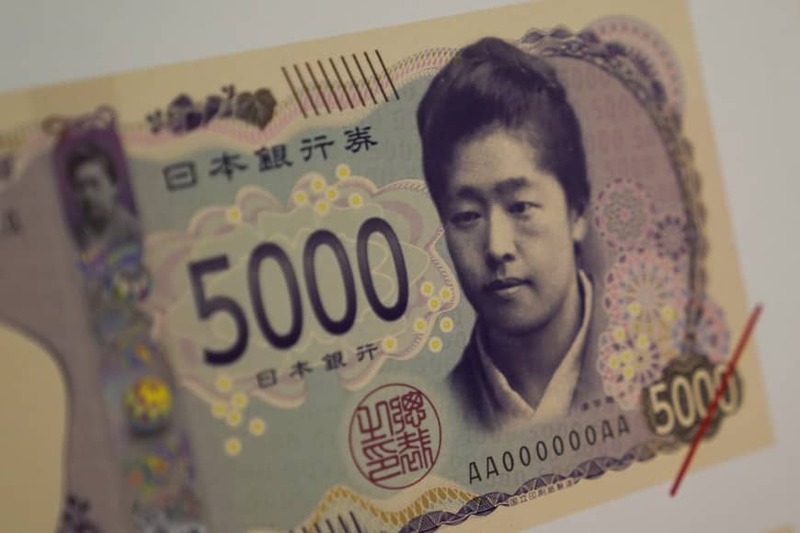 Many imagined a bank note that featured revered manga and anime artist Osamu Tezuka. Tezuka’s daughter, Rumiko, then chimed in on Twitter, saying how weird it would be to constantly see her dad’s face while shopping. Fans of Tezuka’s work loved Rumiko’s tweet, with one even going so far as to capturing her horror in a quick sketch. Much of the discussion online was pretty light-hearted but eventually the conversation turned to more serious matters. Some sectors have been calling for Japan to embrace digital currency, and so the unveiling of a new physical form of cash from 2024 seems to contradict such moves. It became a major talking point on social media, with many arguing that the redesign reflects a step back at a time when the country should be adopting new technology. Even traditional media outlets such as the Nikkei Asian Review honed in on the issue, giving it greater exposure. The start of the Reiwa Era already looks to be fraught with discussion on social media. Compared to the beginning of the Heisei Era (1989-2019), it seems that people are going to endlessly pick apart issues that crop up online during the next Imperial reign.